And why are children the most beautiful flowers of all? Because they allow themselves to be who they are. Without agendas, they flourish in the now. Whether the sun shines or buckets of rain pour, it’s a good day. We are all born with a sense of wonder, but it soon fades. We learn not to trust our own nature. It happens to some earlier than others, but it’s rarely escaped. This lack of trust is the root of why we think we have to control every aspect of our lives. It’s not only self-defeating but futile. I’ve spent years praying for my hands to unclasp the control I hold so tightly. I have come a long way. I’ve discovered that I don’t know what is best for others or myself. I am open to what life brings me – most times. An area I’ve found impossible to loosen my grip on is my creative process. I have a schedule in my mind that I’m never able to adhere to. Always pushing, I resist any interruption in my work flow. When something does get me off track, the wheels of reprimand begin turning in my brain. Why do I hold on so tightly? Because my creativity burns like a fire in me. I’ve guarded and protected it my whole life. I’m afraid to let it run its own course. If I do that, will it eventually die away? Matthew 6:34 reads, “Therefore do not worry for tomorrow; for tomorrow will look after its own.” Does that mean if I let go, my commissions will be completed in perfect timing? Have my attempts to direct the flow actually interfered with the Creator’s plan? Why am I so insistent that illustrating is a 9 to 5 job anyway? My attempts to manage only seem to bring frustration. Yes, I’m ready to let go. 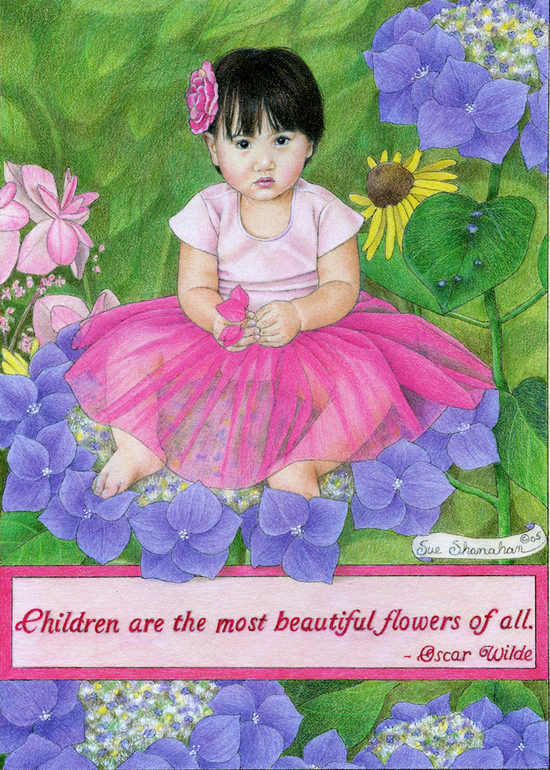 If flowers and children blossom at exactly the right time, then my paintings will too. Is there anything you cling too? did ya do the illustration in photoshop or manually? I liked this and can relate. For me growing up, I was the caretaker of my twin. She was smaller than me and I was always told to look after my sister. It has only been in the past year that I have really began to release myself from being the caretaker of everyone I know. I’m going back into my childhood with my writing and I am amazed when things come together. God can use us at any age if we are willing to come to him as a child and allow him to be our father. Thank you for sharing and I love the picture. 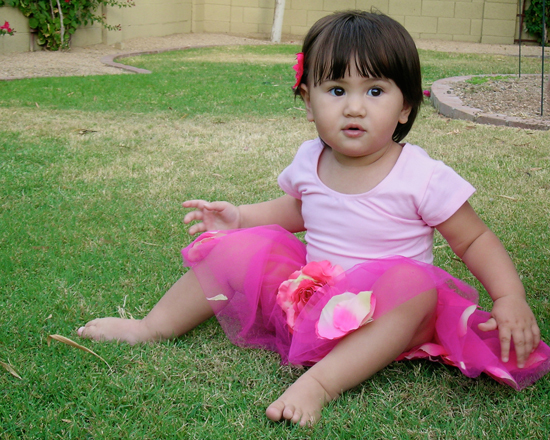 We are expecting our first grand daughter in 3 weeks and the innocent beauty touches my heart. Hi Brenda, Sorry I didn’t respond sooner. Somehow your comment passed me by. It’s hard as a woman to consider ourselves in our caretaking. I think it’s fabulous that you are writing again. Actually, I just began writing a little over a year ago. Before I begin a new post, I say a prayer and am always amazed at the words that flow through me. Congratulations on your new granddaughter. I’m sorry I didn’t respond to this sooner. All my drawings and paintings are drawn by hand. Glad you like my art.